Nice Looking &Running Car Low Miles Only 48 K ,Engine: 1.8L I-4 DOHC Dual VVT-i ,Engine Immobilizer ,CVT Transmission ,Transmission w/Dual Shift ModeAir , Sun Roaf,Bluetooth Connection ,Steering Wheel Audio Controls Auxiliary Audio Input MP3 Player ,Back-Up Camera ,Leather Steering Wheel , Seats Leather and Cloth ,Steering Wheel Audio Control ,Stability Control ,Traction Control ,Conditioning; Power Windows; Power Locks; Power Steering; Tilt Wheel; AM/FM CD/MP3; Satellite; Immobilizer; Keyless Entry; Daytime Running Lights; Dual Front Airbags; Side Airbags; Head Airbags; Rear Head Airbags; Active Seatbelts; All Wheel ABS,This car has original Nebraska Title with previous salvage legend, It was in a minor accident, but was repaired professionally and has already passed inspection by Nebraska DMV. We confidently stand behind our vehicles and a 3 month / 3000 mile warranty is included at no additional cost! For more info call 402-707-0193, or come take a look and see for yourself! Financing FINANCING AVAILABLE: Global Auto offers financing through third party. 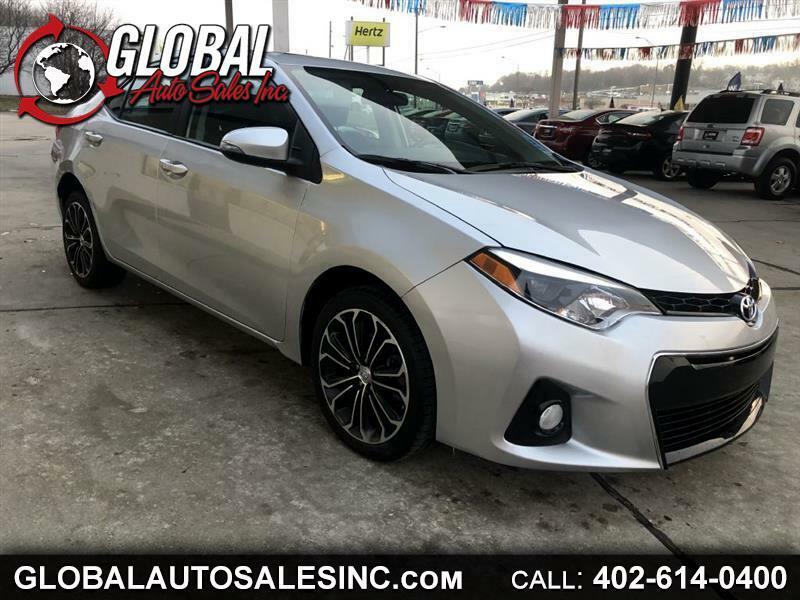 To check your loan pre-approval eligibility you can fill up your application online by going to our website: https://www.globalautosalesinc.com/ and click on the financing tab, or by stopping at our location. Warranties Extended warranties are available.